Alison Sidgwick spent many years in Oslo as a tattoo artist and comic strip-artist. She studied illustration in Edinburgh, before rediscovering her passion for writing. While living in Malmö in Sweden, Aly was inspired by the Scandi setting to start writing her first novel. She became obsessed with the story and didn’t tell anyone that she was working on it for six months, until her friend read a draft and encouraged her to pursue it. Her spare time is devoted to reading, painting, travelling and drinking lots of black coffee. 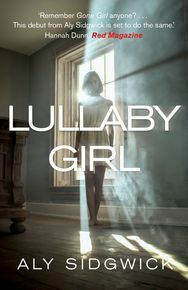 Lullaby Girl is her debut novel.